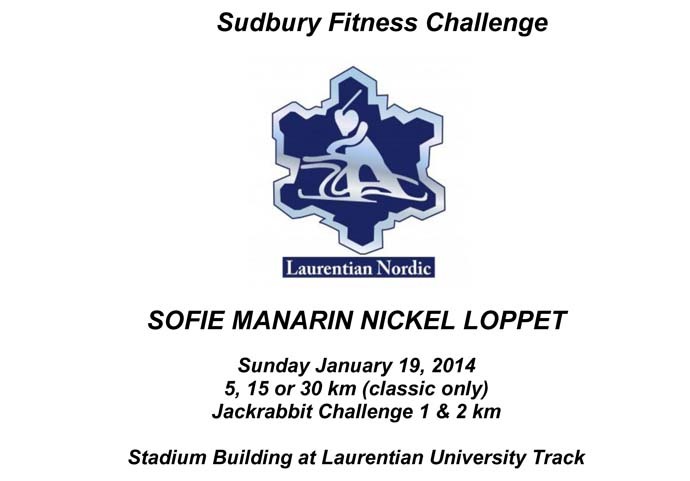 Sofie Manarin Loppet – A Great Start to the 2014 Sudbury Fitness Challenge! The annual Sofie Manarin Ski Loppet was held this past weekend on the Laurentian Nordic ski trails. Despite the blustery conditions, the loppet had a huge turnout, with almost 100 skiers taking part! This race honours a very talented young Sudbury skier who sadly lost her life in a bike accident while training. The Sofie Loppet brings together the entire local ski community, from beginners to racers. 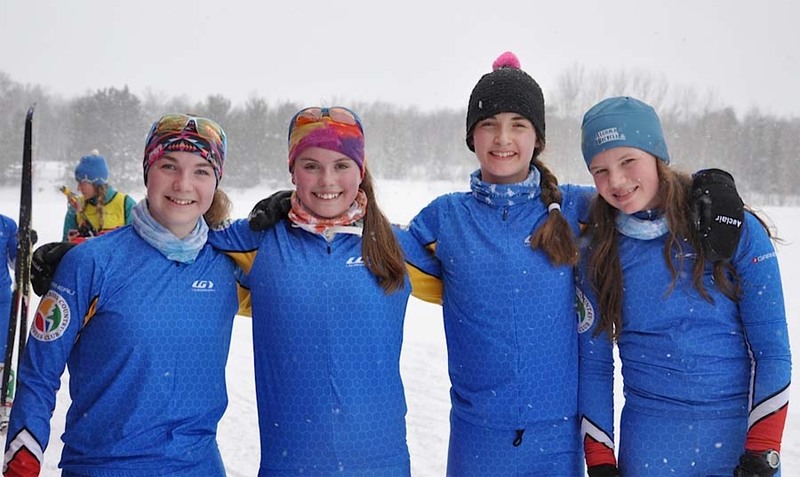 Many new faces were also enthusiastically taking part in their first ski race, wanting to participate in all the events of the Sudbury Fitness Challenge. A big congrats to Laurel Myers, who took her first steps on skis just a few weeks ago, and won her age group gold medal in the 5k race! Distances ranged from 1km for the youngest skiers (some as young as 3!) to 30km for those of us wanting to get in a really long ski. In true loppet style, all skiers from 5k to 30k lined up together, ready to fight their way through flailing poles and skis to get into one of the two ski tracks. One of our Rocks!! runners unfortunately crashed at the start, but she came back in full vengeance, passing many who skied over her in the crash. The 5k race was definitely exciting to watch. 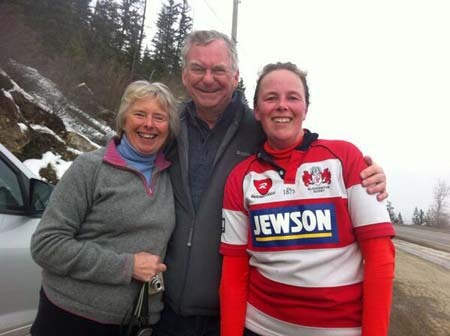 Kate and her training partner Lela rallied for top position alongside Kate’s running coach, Colin Ward. Kate bombed down the hills, taking the lead, while Lela and Colin overtook her on the climbs. At the finish, all 3 were within 3 seconds of each other! Friendly competition definitely brings out the best in us. Many of our Rocks!! runners competed in the 15k, including Neil, Todd Withers, and John Bolan – another newcomer to the sport. Neil managed to keep the lead pack in sight, and pushed hard the last few kilometers to win his age category. An even larger Rocks!! contingent braved the 30k distance. Lindsay Richan and I, along with Amanda Kosmerly were the only 3 female competitors. Lindsay and I always set a goal to not have Kerry Abols ‘lap’ us, and we were both successful this year. While Lindsay takes a more moderated approach to this race, my competitive spirit comes out in full force. Ski races are interesting, unlike running races, so many factors come into play that affect performance. 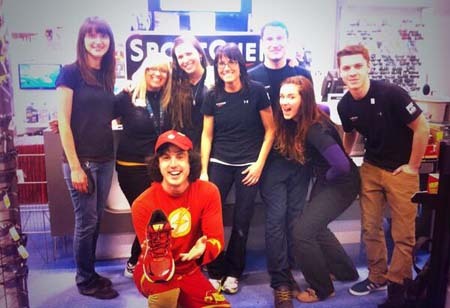 Snow conditions, grooming, waxing all need to work together with your overall level of fitness. I set a time-based goal for myself, to finish in the same time as last year. The 30k course consists of 4 laps of a 7.5k course. My first lap was within my time goal, but I knew I was working too hard. I pushed through the second lap almost on time, thanks to Katherine Knight really working the pace. I knew I couldn’t sustain that pace though, and was very relieved to head out for lap 3 without Katherine to push me (she raced the 15k). I finished the last 2 laps slower, and crossed the finish line having given it my all. While I didn’t meet my time-based goal, I am considering my race a success. 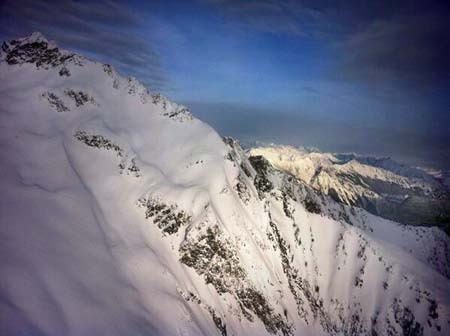 I skied hard in very tough conditions, and met other goals – such as keeping my ski form while I was tired. With the Sofie Loppet now completed, I am looking forward to the next local ski event, the Beaver Lake Loppet, this Sunday. Time to get the skis re-waxed! Coralea Kappel is our 3rd recipient of the SudburyRocks!!! Race, Run or Walk for Diabetes Laurentian scholarship. Coralea writes: I am in my second year of Bachelor of Science with a Major in Biology. Beside my courseload I am a varsity athlete on the Cross Country and Track & Field team, I work as a TA the Chemistry lab, and am in the Team Lead for the Peer Health Education team. It is an honour to receive this award …. I wish to thank the organizers of the Sudbury ROCK!!! RACE, RUN, OR WALK FOR DIABETES for their generous scholarship. Not only is it an honour for me, but it also helps to acknowledge the importance of volunteering and collaborating with community partners to contribute to healthy living and diabetes awareness in the Sudbury community. J’aimerais exprimer ma reconnaissance aux organisateurs de Sudbury ROCK!!! RACE, RUN, OR WALK FOR DIABETES pour leur bourse généreuse. Ce fut non seulement un honneur pour moi d’être récipiendaire, mais cette bourse contribue aussi à souligner l'importance du bénévolat et de collaborer avec des partenaires communautaires pour contribuer à une vie saine et sensibiliser la communauté au diabète. I will definitely be racing in the SudburyROCKS!! Race this May 11 and plan on recruiting some of the students, friends, family, and perhaps my teammates for the Marathon Relay. Coralea is not only passionate about running she also loves to work with the community to help spread the word on benefits of a healthy lifestyle. 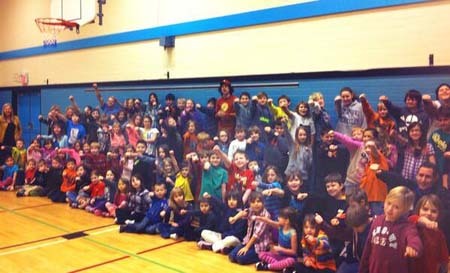 She volunteered for the Canadian Diabetes Association in a partnership with the organization to deliver educational presentations on the role of healthy food choices and exercise in the prevention of diabetes to grade 3 elementary school children during Diabetes awareness month with the assistance of Diabetes representative, Heather Robertson. After she registered to run the SudburyROCKS!!! race, she became the school ambassador and assisted the race team with recruitment of students on campus. This year she has taken on a new challenge of promoting health on campus. Coralea spearheaded the Peer Health Education Team, which works alongside the wellness center to develop innovative, engaging, and empowering health promotion events for University students. Sudbury – Are you ready to stomp out breast cancer? Join us for an energetic morning of snowshoeing and celebration. 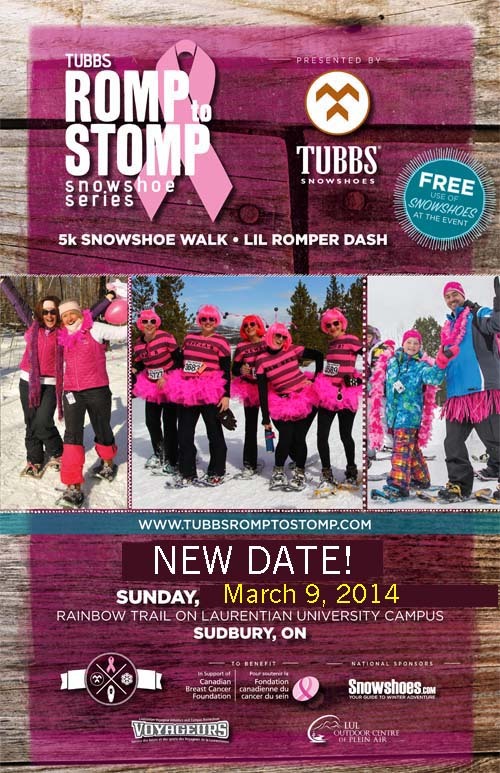 On February 9, 2014, Tubbs Snowshoes and the Canadian Breast Cancer Foundation (CBCF) are hitting the trails for the seventh consecutive year in Ontario. You've probably noticed that I'm way behind on blogging once again, I'm going to do my very best to catch up and share my experiences. I'm just finding it so hard and exhausting lately to keep on top of everything, as well as running all day, everyday. Reluctantly running over the summit of Rogers Pass. 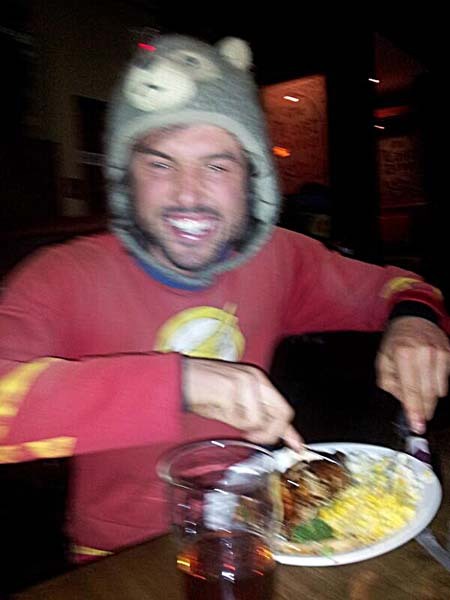 Being stuck for four days in the Rocky Mountains due to a snowstorm, was mentally challenging. To then be told that Avalanche alert was extremely high and that I couldn't run for a further three more days, was too much, I had to break away and get over Rogers Pass. My reasoning for breaking away, when really I wasn't supposed to, had a lot of logic. Running the Rockies during wintertime (let's face it) is one big risk, I felt like there would never be a perfect time, or day, to cross the mountains. This day however, snow seemed to be holding off, so as stubborn as I was from the advise given, I packed up Caesar in preparation to run and conquer my fear to the summit. At Heather Mountain Lodge, the chefs insisted that I took lots of meat for the journey ahead and to arrange a time for when I would be leaving, so everyone could see me off. Before leaving the lodge, the staff all huddled around outside of reception and shouted "good luck" and then pelted me with snow balls. My stomach was in knots at this point, mostly from the anticipation of Rogers Pass, this was just the kind of moraIe boost I needed. On the road, I unexpectedly received a call from Parks Canada (who haven't been keen on my run through the Rockies for sometime) to say "we're sending someone out now to give you an avalanche beacon and talk you through how your going to run today." I was extremely surprised. Maybe they kept an eye on my social media or my tracker and they could see I was on the move. Whatever it was, I didn't think I'd be getting their help. A few miles in, Parks Canada show up, a guy greets me on the side of the road and immediately puts an avalanche beacon (tracker) around my body and said "now, if you're buried in snow, we'll know exactly where you are. When buried, you only have one minute before your oxygen cuts off, it's pretty important that you wear this. This equipment has saved lives." I thanked him for his concern and thought, he's really not messing about. He continued on "after the storm we've had, there are stretches on your run today with no hard shoulder, because it's piled up with snow, not to mention the blind corners. I'm going to be around for these stretches with my flashing lights." Again I really appreciated his suggestions, and he kept being serious. He carried on with safety concerns "you'll be heading towards the tunnels on this run. There tight and some of them don't have lights. I'd like you and your stroller to get on the vehicle with me and I'll drive you through these sections, how do you feel about that?" My face tensed up, I had to be honest "I've ran every inch from St Johns NL, to get in a vehicle now, would devastate me." He replied "ok, lets compromise, your stroller goes in the back of my truck. That way, you can jump out of the way and move tightly to the concrete edges, when vehicles drive by. There's just not enough room for the stroller, how does that sound?" 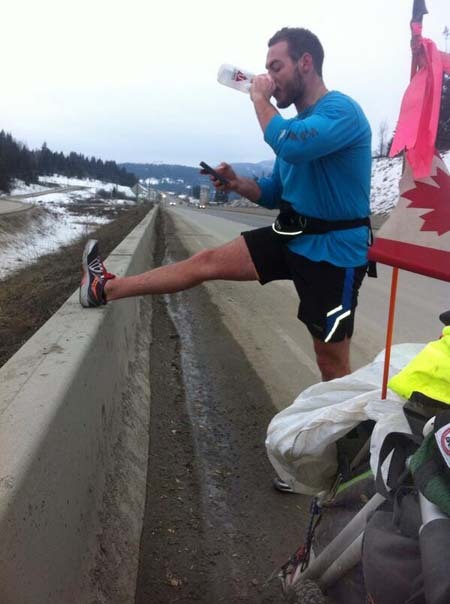 As much as I wanted Caesar to do the mileage with me, compromises are what Canada are all about and as long as my feet we're doing the work, I was ok with that, "let's do it." Before running, he wanted to make sure I understood todays run before setting off "Jamie, me being here hasn't changed the safety aspect, I'm simply here minimising the risks, not stopping them." Miles seemed to fly by with my rested up legs, not fast enough though that I missed the signs that read "avalanche zone - do not stop". 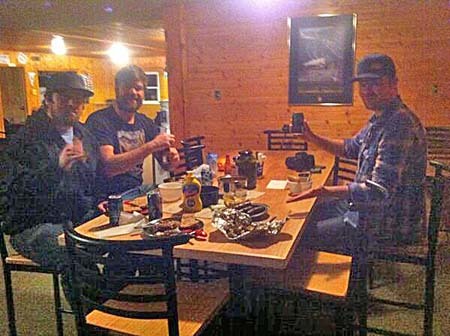 I kept thinking back to being at the lodge, where the snow kept falling off the trees and sliding off the roof. I couldn't help but think that the snow was going to do the same, and just slide off the mountains straight on me. After 10 miles or so, I began the toughest climb of the journey, a 5 mile, 6% incline grade right up to Rogers Pass. As soon as I hit the incline, pushing obese Caesar, suddenly turned into pushing a freight train. I put my head down, gasped for air and thought about the victory at the top. Battling for 2 miles into the climb, reaching over 1300m, I became quite light headed and sick, the kind of sickness where you lose your appetite. If ever there was a time for the saying "one foot in front of another" this was it. The only distraction from the sickness was the clouds that floated by, eye level. With three miles left to the summit, the dreaded avalanche snow shed tunnels appeared. For this section two Parks Canada trucks arrived, one flashing their lights at the beginning of the tunnel, and one at the end. We loaded Caesar and off I went into darkness. Inside I found a big ledge, high up, almost like a pathway that I could run on. This worked perfectly as trucks blew by, there was no room for anything else. If Caesar was on the road, chances are, he would have been flattened. Running one mile uphill, mostly in darkness, I was relieved to be out of the tunnels and back into the mountain breeze. Parks Canada already had Caesar sitting by the roadside waiting to be pushed to the summit, which was now only 1 mile away, I was less than 12 minutes from conquering my fear. When speaking with Parks Canada, moments before the summit, he said "do you still wanna go over?" Like it was an option. It wasn't, so I said "yes". He then burst into a rant and raised his tone "this is the wrong time of year, wrong month, wrong day" and began to shake his head. His outburst didn't surprise me in the slightest, I felt it brewing every time I spoke to him, earlier in the day. So I said nothing. I too, felt that I shouldn't of been out there on a busy highway with blind corners and no hard shoulder. After a few seconds of silence, he quickly regrouped and then went into how we were going to run over the summit. Which was all I had on my brain. I've been riding this fearful wave for months now, as humans, we always think of the worst, are imagination gets the better of us, and that is uncontrollable. However, I was now in the thick of my fear, living it, breathing it, for the first time, I had total control. I pushed hard on the last steep incline, I began to pump my legs, over and over again, I felt the blood drain away from my face to the point of wanting to puke. My guess was that from the sudden rise of 500 metres, I was experiencing altitude sickness. So I pumped my legs some more. Surprisingly, there were tons of cars and trucks queued up just before the summit. As I was running past the vehicles, people were sticking their heads out of the window to shout encouragment "keep going, you're nearly there." 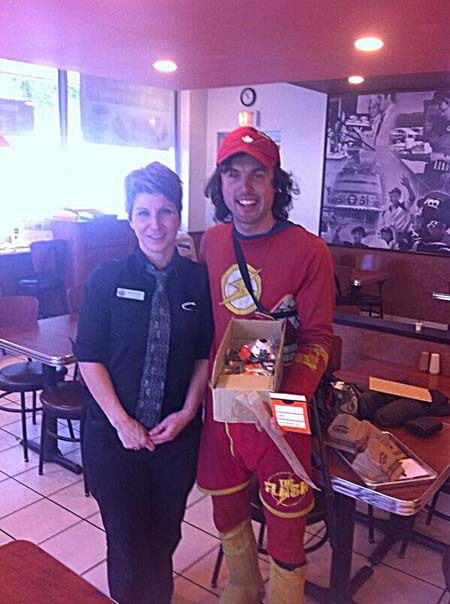 One guy shouted out, "hey, you're that runner, I have some Chinese stir fry here, do you want some?" I managed to squeeze out "I'm really, really ok thank you." If there was one thing in the world that I didn't want at this point in my life, it was Chinese stir fry. A little sick came up, onto my tongue so I swallowed it quickly and held it down focusing on the summit. There it was, the sign that read "Rogers Pass alt. 1380m". A chemical reaction inside my body started to burn with pride as I was conquering yet another fear in Canada. Yet externally, there was no emotion at all, apart from looking and feeling nauseous. What struck me the most, about being at the top of the pass was the snow banks piled up, 12ft tall (way taller than me). Maybe my frightened imagination was right after all, a day on this summit in bad weather, could have been a very different story. Despite the suffering, I knew it was time to enjoy the downhill to where I'd be staying for the night, 4km's away. My legs were heavier than usual, but they seemed to be happy working with gravity. Once arriving at the destination to where I'd be sleeping, I gave Parks Canada a big thank you and held out my hand. He left me hanging, instead he said "you don't have to thank me. I'm just doing my job." I shied away. We then spoke about arranging a time for tomorrow, so he could continue on helping me through the National Park, I would still be in Parks Canada territory. Just before getting back into his car, he offered out his hand. I still don't know why he didn't shake my hand the first time, maybe that was his way of saying "I shouldn't be out here helping you at this time of year," or "you're an absolute idiot," or so on... After the awkwardness, getting the chance to shake his hand to say thank you, meant a lot. No matter how Parks Canada made me feel, not matter how much I felt that they didn't want to be there, they were. And every minute that went by during todays run (over one of the most dangerous stretches in Canada) they were 100% looking out for my safety. For that, I'm thankful. Back to being on my own, I had to cover the distance of 1.5km on trail to an alpine hut which I didn't think would be too much of an issue - and if I had skies, it wouldn't of been. The snow was deep, so I left Caesar in the empty parking lot and took everything I needed. My important man bag, electrical goods, sleeping bag and laptop. At the beginning of the trail, every step my leg would burry, knee deep into the powdered snow. Making it 50 metres had me sweating, like a mad man. I had to make a decision whether to go back and build a snow cave, or sweat on. Because I was being beaten so badly on the trail, I almost now made it my mission to fight back, so I sweated on. That, and not wanting to sleep in snow made my mind up. I panted away, step after step carrying everything in hand, around my shoulders and with my laptop under my armpit. After having one of the toughest runs of my life (almost like running a double marathon), here I was, stuck in deep snow, still going. My entire body was burning up, tip to toe, I felt like one big ball of lactic acid. In 45 minutes I had covered 1km, I knew I was close but I was missing something. At first I couldn't work it out, I just had that feeling. After checking my armpit, I realised it my laptop that was gone, which was more worrying than losing my passport. I dropped everything and started retracing my steps, with my heart now pumping and panicking even faster than before. After trudging over half a kilometre back, my guess was that it was gone. How didn't I notice for that length of time that I wasn't carrying it? I couldn't lose hope so I went further, after nearly making it back to the start of the trail, I spotted a tiny black spot by my foot. I lent down to touch it, and I was able to pull it out of the snow, it was my LAPTOP!!! It had buried itself after falling into the snow. So lucky. I kept telling myself what was a few more kilometres on top of 7000? It didn't really help. One and a half hours later I had made it to the hut, just before it became to dark. 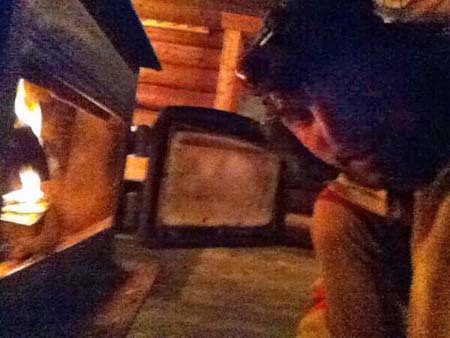 Walking around inside the hut, with my head torch on, I noticed a wood stove, so I searched for a lighter. After the day I had, I'd never been so happy to ignite a fire and listen to nothing but crackling wood. My Dad and I the night before I left for Canada). "Jamie, I'm bad with words but hopefully they will come out in the right order! I've been following you over the last two months and am totally blown away by your physical and mental strength, not only by blasting your way through this immense adventure but how you capture and inspire those near and far from you. I've got the most awesome little two and half year old son who is my world. I have a few mates who have had sick kids and it pains me to think of how precious life can be. To see what you are achieving to support less fortunate blows my mind! Since I was a kid I always strived to make my folks proud. I never found that thing that made me tick. I've always been that normal bloke and never knew what was achievable in life. It took me 30 years to find something I'm good at, that my folks can be proud of and I think I have finally found it; being the best dad I can be. When I married my wife last year and my boy was part of our amazing day, I managed to bring my Dad to tears after my speech. I guess that was his way of showing me his pride. That moment was captured by the most awesome man hug from him! As a father I can only imagine how totally bursting with pride you nearest and dearest must be feeling and in particular your Dad. As you ride the Rockys and the emotions towards the end of your adventure, get ready for the most intense and overwhelming emotion of seeing just how proud your Dad will be when he sees you! That man hug he will give you, will be off the scale!! I want to thank you for being the most inspirational bloke I've known in my lifetime. 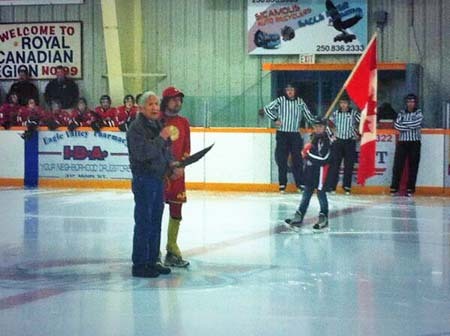 I'll be sure to tell my son all about this nutter from up the M5 called Mc Donald who took on Canada and nailed it!! I'll always encourage him to not be normal like his old man and that anything is possible. A) so he can be an awesome and B) so I can do a father and son adventure when he is older (and I'm grown up). Big man love, total respect and best wishes. P.s. I literally don't have a penny to my name at the moment but when business picks up there will be a contribution to your pot!" 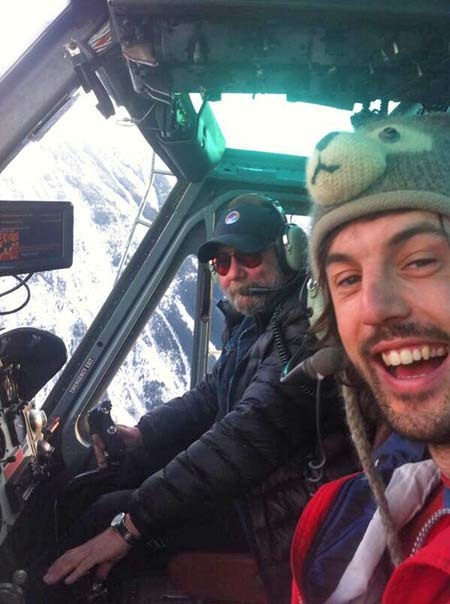 Jan 16 Off the cuff, once in a lifetime helicopter ride from Selkirk Tangiers, over the Rocky Mountains. Good morning! One of the things with this run is that because Canada is so big in comparison to the UK, it must be hard for people back home to relate to just how massive this country is!!! So, with fewer than 350 of the 5,000 miles to go (14 marathons out of 200+), I thought it might be fun to look how far that distance would be if I set off from my hometown of Gloucester and just ran. 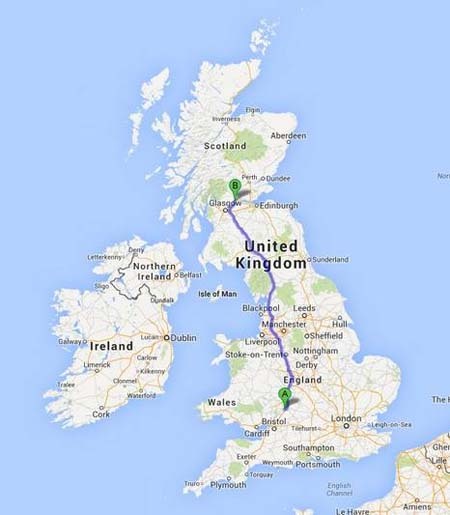 Turns out it's the equivalent of running to Dunfermline in Scotland! 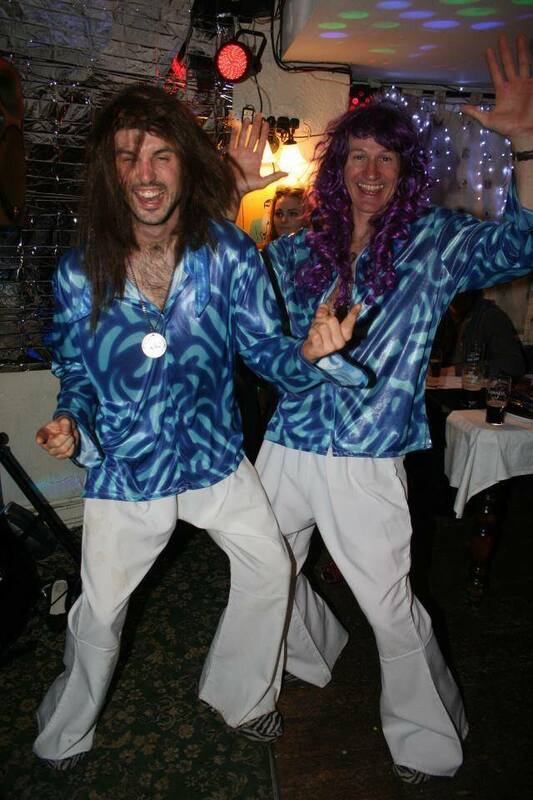 Jan 19 Runner, Mat & I, are flying up & down the mountains, Flash time. 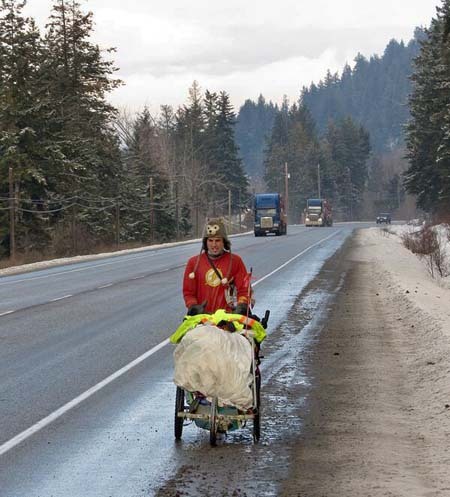 Jan 20 Salmon Arm School Planting some motivational seeds... After motivational speaking, a 10yr old approached to say "you've inspired me to run across Canada, when I'm older"
Jan 20 Amazing, much needed treatment at Lakeshore Physiotherapy with Julie Parenteau. "Managing, not fixing." Jan 21 10 miles to go, machine Chris is staring to cramp. Not gonna lie, I'm getting quite a lot of pleasure out of it. 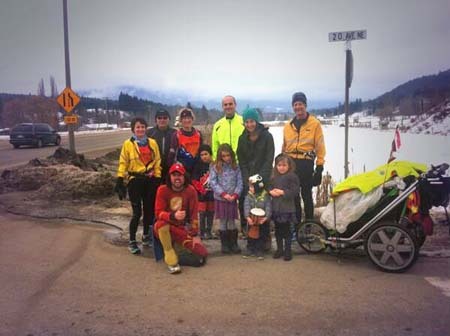 186th marathon, follow my tracker: jamiemcdonald.org finishing in the town of @SeeRevelstoke. 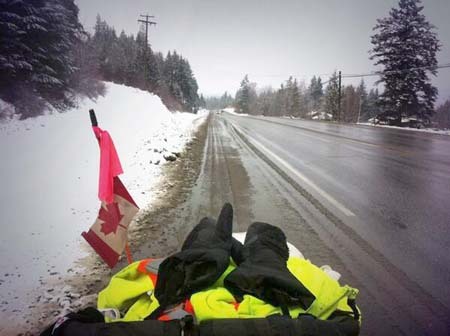 So nearly finished my run, across CANADA! 10 miles, my head is in the clouds, thinking about the finish. Dangerous mind set, being "in the now" is what's gotten me this far. 186th marathon done, couldn't stop thinking about the finish, need to stay focused. 14 marathons to go. Made it to Revelstoke. Jan 16 Ate like a king @TheLastDropPub, now checking into @Powder_Springs, what more could a man want? Actually, please don't answer that question. Jan 17 A healthy few miles in with Rob (who hasn't ran in a year), rocking the Rockies. Hilly terrain, Rob "I'm starting to feel it." My reply "me too, there's 5 miles to go, a lamb roast awaits at the end of this run." 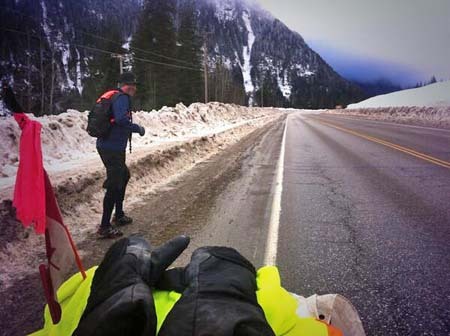 187th marathon finished, Rob & I pushed ourselves along rolling mountains & bantered when it mattered. 13 marathons to go, my lucky number. Rosemary, garlic, roasted leg of lamb, mauled. 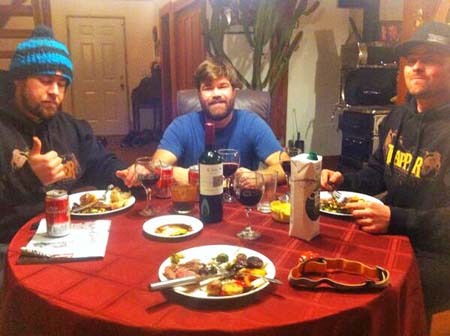 The Trapper snowboarders have triumphed. 188th marathon, smashed. My legs are tired & time is flying, almost to quickly. Can't believe I'm saying it "12 marathons to go"
189th marathon, boom. Supportive runners & mountains that aren't as big as what I've ran through. 11 marathons to go, ave it! 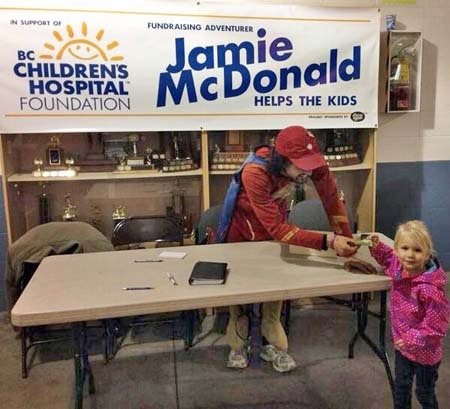 Jan 19 Fantastic game @SASilverbacks, & plenty of generous people (including kids) that are donating to @BCCHF. Taking today off for speaking, fundraising & most importantly, blogging. If I don't hurry up & write, memories will be lost. Great lunch in #SalmonArm with Mayor, Nancy Cooper. After paying the bill she even made a cheeky donation to @BCCHF. 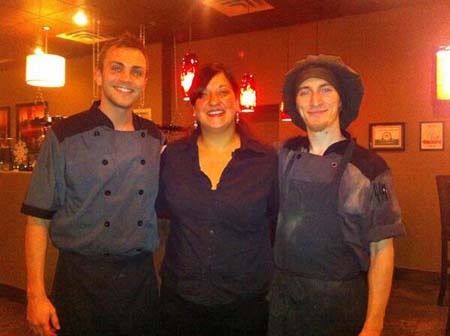 Jan 20 Three awesome people, delivering a delicious three course meal at Table24, in @PodollanInns. Also Sleeping at @PodollanInns, can't believe I'm in this palace, every time I look around the room, I'm like, "really?" 189th marathon begins heading to Sorrento. I'm off! 189th marathon complete into #Sorrento. Springy start into a faded run, happy to see someone else struggle. 10 marathons to go, oh yeah. 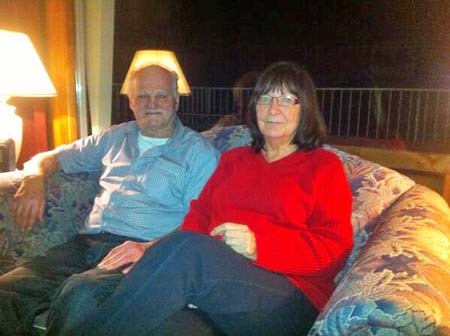 Jan 21 Late night session, at AIM Physiotherapy Services with Anisha Moore. Loads of love & manipulation to my foot. In the190th marathon. Few miles in, once again, can't stop thinking about completing this journey. This time though it's making me so nervous my knees are shaking. 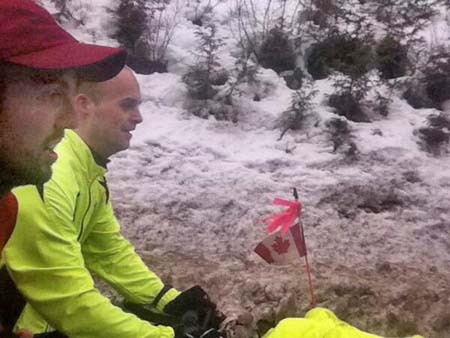 It's coming to light & hitting me hard, that I'm going to finish my run across Canada. Way too much to digest, my anxiety is taking over. The Laurentian Women's track team competed at the U. of Toronto's Fred Foot Memorial track meet this weekend, returning with four medals, 11 personal bests and four OUA qualifying marks. 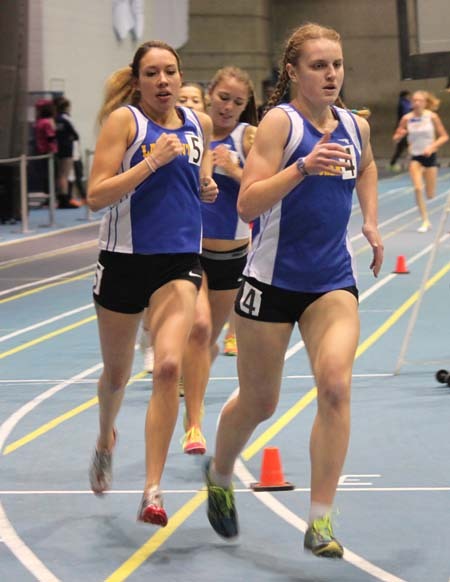 Rookie Marissa Lobert (Sault Ste Marie) won gold in the 3000m, finishing with a 13 second personal best time of 10:18.91. That time is 22 seconds under the OUA qualifying standard of 10:40.0. Three other Voyageurs beat the qualifying standard in the 3000m, with Samantha Edwards (Toronto) placing 3rd with a time of 10:25.69, Alyssa Bedard (North Bay) placing fourth in 10:27.96 and Michelle Kennedy (London) placing 5th in 10:36.93. All were personal best times. Lyndsay Greasley (Sudbury) also ran a large personal best, placing 7th in 11:04.36. 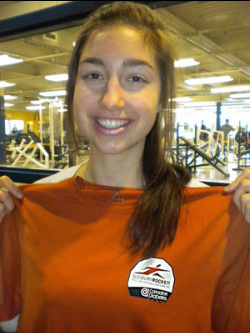 Sprinter Ashley Huard (Hanmer) who also has already qualified for the OUA's, won her first medal as a Laurentian athlete, placing 1st among university athletes in the 60m and 3rd overall. Her time was 7.87. Adrienne Wilson (Kitchener), who has already qualified for the OUA's, continued her strong season in the metric mile, placing 2nd in the 1500m with a personal best time of 4:39.43. It's the first time Wilson has dipped below the magic 4:40 barrier. National team steeplechaser, Genevieve Lalonde, placed first in the event. Athletes from Laurentian, U. of Toronto, York, Guelph, Western, Queen's, Laurier, and a number of track clubs competed in the event. The Voyageurs' next competition is the York Open on February 1st.